I remember many years ago when the cable network A&E actually showed program that were from beyond the realm of reality TV. It is a point of interest, because it is for me a reminder that you should never take for granted what you have because it may be gone before you know it. A&E showed a lot of great television. The station was known as Arts & Entertainment, I am not sure what it is known for now. I may have been a bit of a snob because the programs they showed often also shown on PBS so I didn’t want to see these series with commercial breaks and logos plastered all over it. Back then, logos plastered all over was just one logo in the corner, nothing like what we are forced with now. Anyway, they would show some amazing series such as Yes, Prime Minister, Black Adder, All Creatures Great and Small which were all series I would watch on PBS but there was one that I got introduced to on A&E that has become a long-time favorite. Lovejoy. My Monday night ritual back in the day would be watching Murphy Brown on Monday nights at 8pm and at 9pm would be Lovejoy. I would sit down with a snack and just sit to enjoy this wonderful series. It made Mondays worthwhile and I was in high school back then so I made sure I got my homework done early. It was really a lot of fun. It created lasting memories for me because it was quintessential British television that took place in the country and was dealing with antiques. It may sound boring but it is anything but boring. 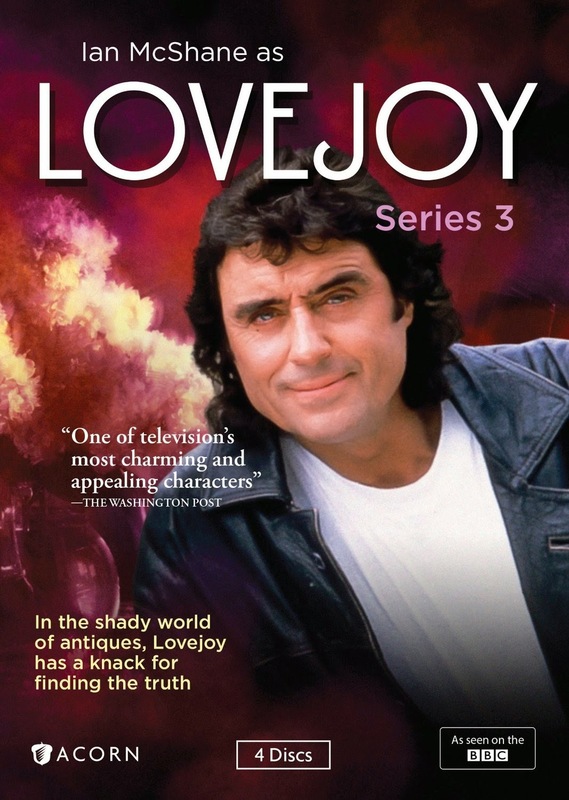 I am reviewing Series 3 of Lovejoy which was originally broadcast in 1992. I never realized this before that I was actually watching this series when it was new. In the literature I got with the DVD set I am reviewing from Acorn, there is a quote from the New York Times that says that Lovejoy is “The James Bond of antique dealers.” This is a description that I would like to respectfully disagree with for now. Lovejoy is a lot of things but the term James Bond seems absolutely out of place. But here is the interesting thing, Lovejoy IS a lot of things. This is what makes this one of the best TV series ever made. Did I just go as far and say that Lovejoy is one of the best TV series ever made? Absolutely! Lovejoy is a divvy. This is someone who can tell a genuine antique when he sees it. He has a gift and is extraordinarily knowledgeable about all manner of antiques. The series itself, I would term as light drama with some wonderfully funny character moments. It’s not steeped in drama. 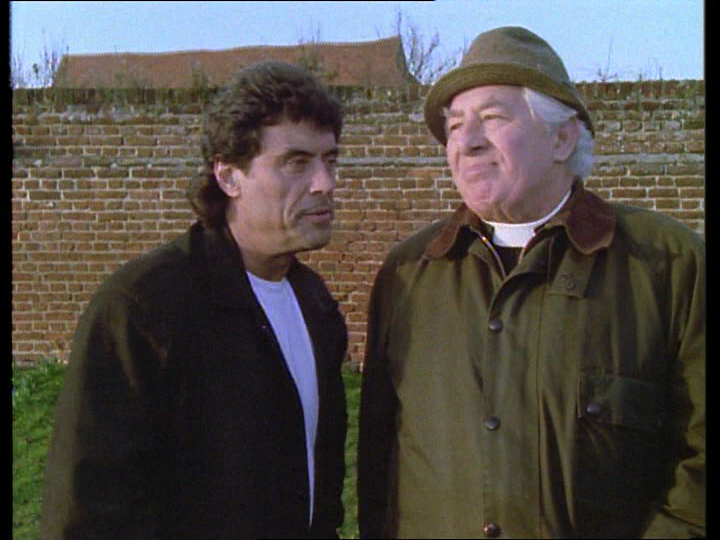 There is actually quite a bit of action because the series dabbles in criminal murder mysteries yet most of the mysteries surrounds the art & antiques that Lovejoy is involved with each episode. 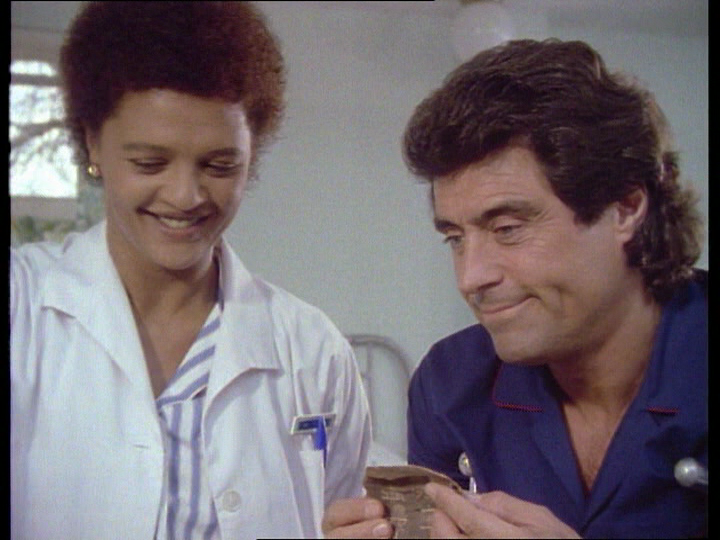 Maybe early on Lovejoy may have been involved in some shading dealings but as the series progresses, he involves himself with legitimate partners. By the time we get to Series 3, Lovejoy has a nice business going with his friends. He may need to dip back into the world of questionable dealers once in a while for one reason or another but he is genuinely a kind hearted person. I consider this period of the series to be one of the best. I had actually forgotten that until I sat down to enjoy these episodes. The character of Lovejoy is completely formed. Where the New York Times called him the James Bond of antique dealers, I call him more of a loveable rogue. Almost, at times, a Robin Hood. Lovejoy wants to make money but he wants to be fair to the people he is working for especially if there are people down on their luck with that one antiques piece that they have been holding onto for a rainy day. The supporting cast is pretty well-defined by this point too. These people are the icing on the Lovejoy cake. Lovejoy could carry the series on his own. I really think Ian McShane has that ability with this character but the supporting cast are amazing and have all been with him since the first series. Lovejoy’s closest friend and associate is Tinker Dill. This is back in the day a TV series could have a loveable alcoholic and there didn’t need to be a “special episode” to deal with his problem. The alcoholism is the backdrop as Tinker is from a different era and just continued to drink into the current era of the 1990s. 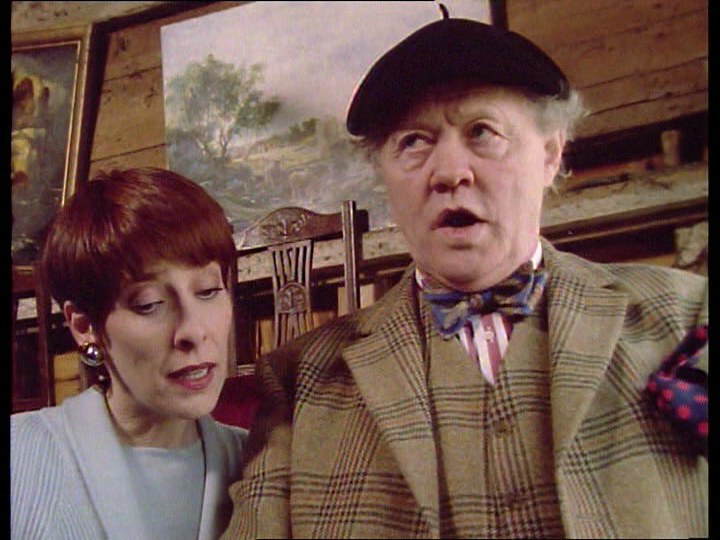 Where Lovejoy is a genuine divvy, Tinker is extremely knowledgeable about antiques as he has been in the business for many, many, many years. He knows stuff that Lovejoy doesn’t know and has a great memory. He is a fantastic character. My favorite has to be Eric Catchpole played by Chris Jury. 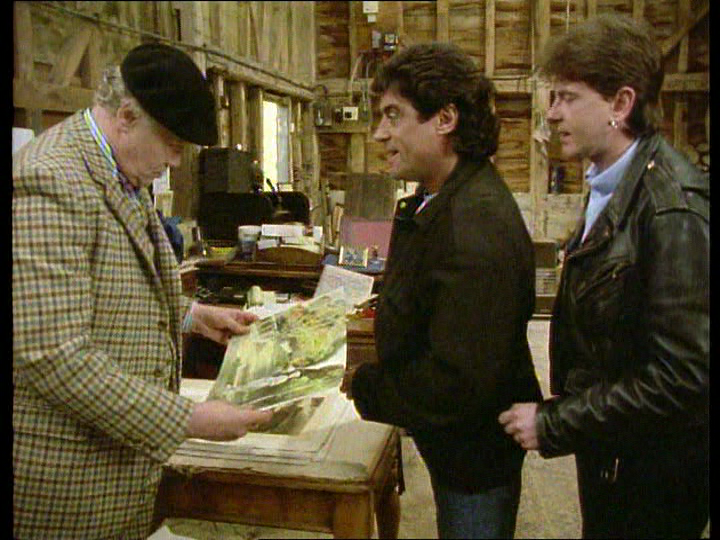 Eric started in the series from the first episode as a young guy who didn’t have much ambition to do anything in his life so his dad paid Lovejoy to try to get Eric interested and involved in the antiques business. I guess it worked. No doubt that Eric is the comedy relief of the series and much of the side plots/problems are caused by him in the episodes but he, as a character, has grown. It’s not like he is Gilligan on Gilligan’s Island who week after week messes everything up. He has a great understanding of the trade though he still makes plenty of mistakes. He knows he is not perfect yet strives to act with an air of confidence. I actually had lunch with Chris Jury once. Actually, I had lunch with TV’s Frank from Mystery Science Theater 3000 and Chris was with us. Both men were funny, kind and pleasant. That was a treat. Finally, there is Lady Jane Felsham. She has to be one of the kindest people I have ever seen on TV. She befriended Lovejoy in the first series and she has been very loyal and supportive of him ever since. She is married but things start to change in the season. Lovejoy from the very beginning has been nothing but a gentleman to her. It is clear that he really loves her but he has always respected her life and the role she played in her community. As a Lady, she is very down to Earth and has always accepted Lovejoy as an equal. Lady Jane and Lovejoy are partners in business and this has helped Lovejoy stay on the right track. When we get into the first episode of this set, it picks up a bit where we left off in Series 2. I do want to say that this doesn’t mean you have to see these episodes in order to pick it up. I actually think it is pretty easy to pick up where this series is going because there isn’t any real story arcs. That being said, good things happened at the end of the last episode of Series 2, The Black Virgin of Vladimir. At the end of the episode Lovejoy makes quite a bit of money and goes away for a while. It’s been 6 months since anyone has heard from him and everyone has gone their own way. Lady Jane is back to her life of sole community service, Tinker for reasons that are unknown joins a monastery where there is no drinking and Eric has gotten a “real” job in the security business. He is a security guard. But he does have a uniform. 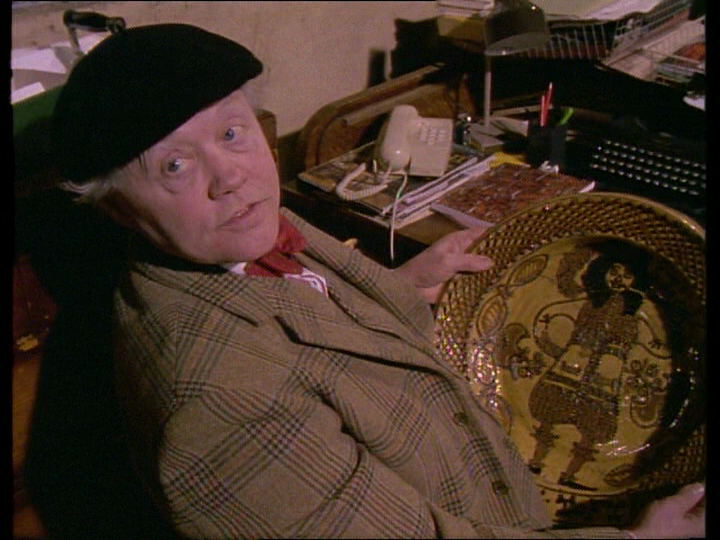 The thing I love about this set of episodes is that there are a lot of mysteries about specific pieces of art or antiques that we get knowledge of from Lovejoy or Tinker. Many of the episodes shows us pieces that have specific history and are presented in a way that makes tons of sense but I haven’t really found any evidence that they are real such an old bowl called Smoke Your Nose which was in an episode, funny enough called, Smoke Your Nose or the idea of loveknots in Indian rugs. In the rugs, a woman who was asked to marry a man in their culture would put her answer into an intricate rug. It’s old tradition and sounds really cool but I am not sure if it I real. I couldn’t find any info on it in my exhaustive search or it. If you can call looking something up on Google as exhaustive. What I love about this series is that there is always someone trying to scam someone else in the world of antiques or pull the wool over their eyes. This is highlight because just as you think you know what is going on, someone has slipped someone else a fake or aid in counterfeit or made some big mistakes. It’s fun to watch Lovejoy and his friends try to figure out what is going on. Sometimes they are a step ahead or behind and maybe even get scammed themselves. That being said, kind of like what I always say about All Creatures Great & Small, Lovejoy always has a happy ending to the episodes. When the credits roll, I always have a smile on my face. The series does not take place in London though they sometimes need to go there. It takes place around English country settings. If you read any of my articles, you know I go crazy for this sort of setting. It is my favorite thing. I love how the series looks and is shot. The country is always so pleasant looking. It is always sunny and green. It is shot so well. So much of the series takes place in manor homes or just generally nice places. The picture quality on this release is going to be the same as the other releases and also the original releases by the BBC a few years ago. This series was shot on film but was transferred to tape for post-production editing. The quality is fine. It looks good but we are now in an enlightened age of stuff that was shot on film but edited on tape to get a re-transfer and color grade. That is how series such as Poirot, House of Cards and Miss Marple get new leases of life on Blu-ray. I do not see that ever happening with Lovejoy. This is an expensive process to go back, re-scan and edit the episodes back together. There are 71 episodes of Lovejoy and I don’t get the impression that the copyright holders are interested in putting money into it. Now, let me be clear on a couple of things. This is not a fault of Acorn Media, they are distributing these sets. Also, the episodes do not look bad. They look fine, I can’t help t think what they could have looked like completely remastered. The bottom line is that episodes are highly enjoyable. Along with how the episodes are shot, another major piece to this production is the music. It is fantastic. From the actual theme music to the incidental music, it is cohesive and a joy to listen to in each episode. If there was a soundtrack for the series available to purchase I would do so in a heartbeat. The music is a sort of classical genre piece using strings and harpsichords. It’s tough watching the episodes because the theme stays with you for days after watching it. In fact, the music seems to kick into high-gear when I am driving somewhere and I can hear the “Lovejoy driving” music in my head. It’s fun. It really makes every aspect of the production cohesive. Some of my favorite episodes on this set are Smoke Your Nose which features a Roman land that a vicar is trying to protect. I really enjoy stories that include a lot of historical overtones and this episode also benefits from an ending with a twist. Scotch on the Rocks is a great and I love the episode Eric of Arabia which sees Lovejoy become incapacitated due to something Eric did and spends most of the episode in the hospital suffering a broken leg. The episode is directed by Ian McShane. This has a great plot that surrounds the history of an ancient clay pig. It has a great combination of humour and some suspense. There is a great guest cast in this season. Burt Kwuok, Michael Kitchen, and Minnie Driver. 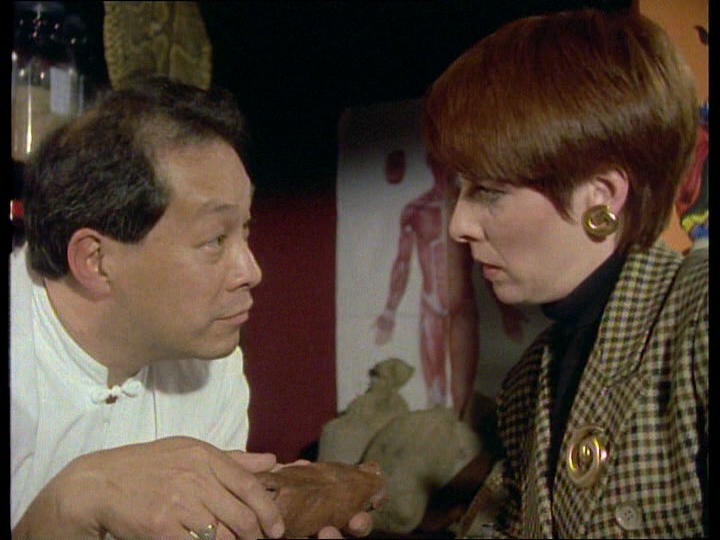 There is an ongoing storyline in the early episodes with Joana Lumley’s character Victoria. Those are some of the main stars but there are a ton of people we would have seen in other British television series that I enjoyed watching in this series of Loveyjoy such as Peter Halliday, Russell Hunter, Nickolas Grace, Maurice Denham, John McGlynn, Angela Bruce, Paul Brooke, Edward Hardwicke, Nadim Sawalha, Paul Rogers, Simon Ward and the group Hothouse Flowers. 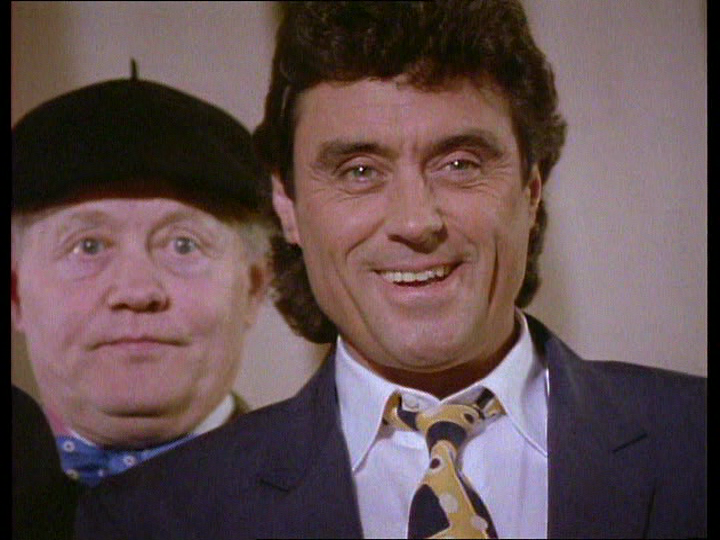 I think Lovejoy Series 3 is among the pinnacle for the series. There are great episodes, characters and stories. Even if you haven’t seen Series 1 & 2, it doesn’t matter. It is very obvious from the start this is a quality series that should not be missed. Upcoming DVD/Blu Ray Reviews: Miss Marple Series 1 Volume 1. I have already posted some of the remastered pics but a full review of the Blu-ray is coming soon and also a review of the Blu-ray release of the final series of Agatha Christie’s Poirot. 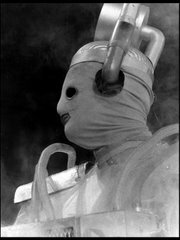 Series 13.